Access to the boutique is still available through gaps in the construction walls below and from Main Street Motors and Boardwalk Candy Palace either side. While the stone (or rather, concrete) bridge across to Le Château de la Belle au Bois Dormant continues its extensive reconstruction, the giant waterfall (Fungus Falls) and the waterways surrounding it have been turned off and, on the left of the moat area, had their perimeter dug up. Since postings on various forums suggest some visitors have been told the Castle is “closed” it’s worth stating again that it most certainly isn’t. Following the smart “By Royal Decree” signs on the construction walls, you can still access the inside of Sleeping Beauty Castle, its two boutiques and first-floor gallery. A great (and equally spectacular) way to enter the Castle during the work its via the Dragon’s lair to the left of the bridge — spot the path leading to it in the very first photo above. Unfortunately the same impulsive attitude hasn’t yet been applied to Disney Studio 1, which remains covered by scaffolding around 583 days since the refurbishment covering was put up and approximately 1656 days since that first Chicken Little billboard rose up in 2005. Pictures by Dlrpteam, Photos Magiques (more) and DLRP Today. will it be ready for the summer? 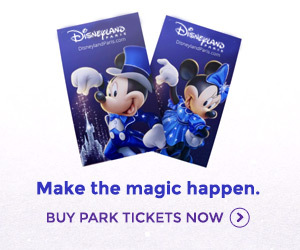 thats when i am going to dlrp next !!! !